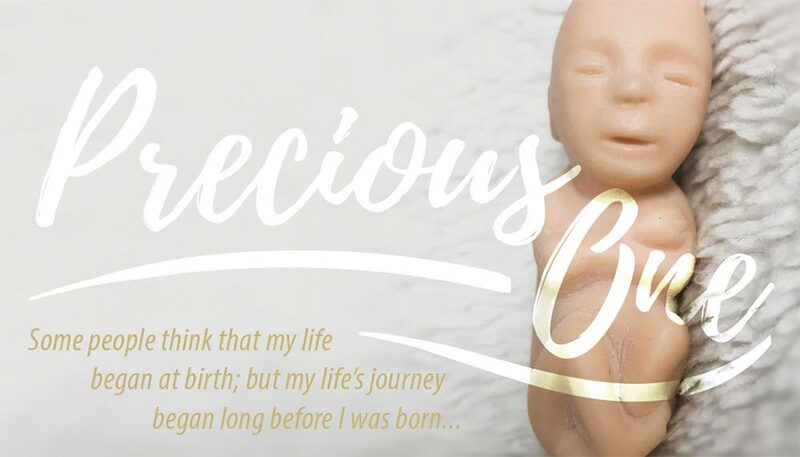 Precious One™ is the most realistic 12-week fetal model ever developed. Precious One™ is inexpensive, but soft to the touch and lifelike in their appearance and feel! Watch as these models move hearts and change minds when people visit your fair booth, participate in your Walk for Life, and church members witness their true-to-life size and feel! Precious One™ comes with a free, full-color development card (in English) describing the first trimester of life and detailing the child’s development. Available exclusively from Heritage House, Precious One™ creates the same dramatic effect as more expensive handmade models! Mix and match colors and languages, in quantities of 50+. We used these models for "Spiritual Adoption" of a baby in danger of abortion at our Youth Rally. Each student received Archbishop Fulton Sheen's prayer when they named the baby. And promised to pray for 9 months. They wrote their baby's name in a book of life (poster board) and the poster was presented at closing Mass. Teens LOVED it. They carried their babies in their name tags. Some spiritually adopted twins. Ordering more today! Thank you Heritage House! Precious One babies are such a hit at my information booths at church and at community outreach festivals! I am so very thankful you have created these small babies that I can pass out. I love sharing these babies with my patients after their ultrasound visit. It’s great having them in different skin tones. Makes each mom feel like they can truly connect with these little fetal models. Parents to be are amazed of the detail their babies have at such an early age, and these models have portrayed that. I work at a PMC and we use these in our new mom packs. We find them to be a great teaching tool for both children and adults. They are a nice medium color and have a realistic feel. The brown fetal models are the best tool we have when discussing abortion with African American women...and men. It provides an opportunity to not only share the humanity of the child but to educate on the high rate of abortions in the black community, approximately 3 times higher than those of white women. The Precious One babies are one of our most used tools at the Center. We give them to clients, volunteers, and supporters. People are always awed by the detail and the life-likeness. What an effective way to show that life begins in the womb! These Precious Little Ones are used in street ministry both in the USA and in Bolivia. We were very pleased to find them here. They are most helpful in letting folks visualize the real size of a 10-12 week old fetus. Their soft texture adds to the overall "realness" of the baby. It is amazing how surprised, and, sometimes shocked, people are to realize that the fetus actually looks "human" from the very early stages of development. Thank you for making these available. The best visual tool possible. It is a sonogram handled and felt! I have many stories about these models, but the most encouraging "endorsement" I've gotten was from a PP employee at a "Planned Parenthood Day" at the Community College. I heard of it from a student beforehand and set up a table right next to hers with lots of literature and fetal models to give out. The students were drawn to them as soon as they came up the steps, without even looking at her condoms and PP lit. And she frantically tried to tell them fetuses weren't that developed at 12 weeks, so I showed them pictures of unborn babies that age and they mostly ignored her. The abortion industry is terrified of these little guys! I am the founder of Love The Unborn Babies, and was so pleased to be able to get these. They are very beautiful, true-to-life, and well-made. Thank-you so much for making these available. We bought these for the OB nursing classes at our community college. It is a great way to show the true development of the unborn and they can hold them. I like the medical footnotes on the card. The baby models are great at any table or event. We like to give them to young people at schools and at church. I like to make little flannel blankets for them. I love to give them to the children, they will show the baby to everybody who will take time to listen. Very nice quality and a price-point that enables free distribution. We have used these to educate school groups. They are also a "hot" item at our annual fair. These are favorites with children and teens, in particular, and really drive home the personhood of the unborn. Highly recommended for any public event. We used these babies in all of our booth displays. We wrap in a "blanket" with the card. We have many kids and adults come to us and ask for these. I ask the kids to promise to take care of them. They look so real. I use these precious models on the street to show how real and precious babies are in the womb. I placed one of these in the hand of a heckler who came to tell me that "its just a bunch of cells". She held the baby dearly and then looked at me with tears in her eyes and told me her grandchild was aborted at this age. Only God can change the heart of a non-believer but holding one of these models sure did help! This item is a big hit at an annual African American health fair that our PRC hosts a booth for. Young children to senior citizens are drawn to them and we get to share the 12 weeks of development with them. I use the brown and the white fetal models when I sidewalk counsel and share with young women about the development of a baby in the womb. When they hold them in their hands and it feels and looks so life-like, it is very effective. The brown babies have been especially great to give out to anyone that is of color, because people tend to like the color they most associate with themselves. We use these outside of the inner-city abortion mill. The color is great because many of the clients can relate to it better. These are beautiful. I will soon be handing these out at my college as I ask fellow students to get involved with our new student group and take action to defend life! I know they will impact the many new mothers we have on campus also. These are such a powerful tool to get people to see abortion as more than just an issue we debate... its genocide, and it's happening right here all the time. Perfect and effective! We see clients of all races so I like to keep the white and brown models in stock. We will be giving these out at an upcoming Abstinence event. A great tool to demonstrate to clients what a baby really looks like at 12 weeks. Invaluable for clients, church presentations, or health fairs. These baby models made a big impact with the teens at our parish. What a great educational tool! This brown baby model is so lifelike that when I handed it to a mother -- who'd had five abortions -- she burst into tears, and changed her mind about going back into the abortion facility. She was laughing with joy and crying through the tears. Be careful though: I handed one to distract a fussy baby during our prayer vigil and he started teething on it! I use these models while I sidewalk counsel and the are very effective at getting the persons attention and engaged in conversation. I offer to give it to them along with the card on fetal development. 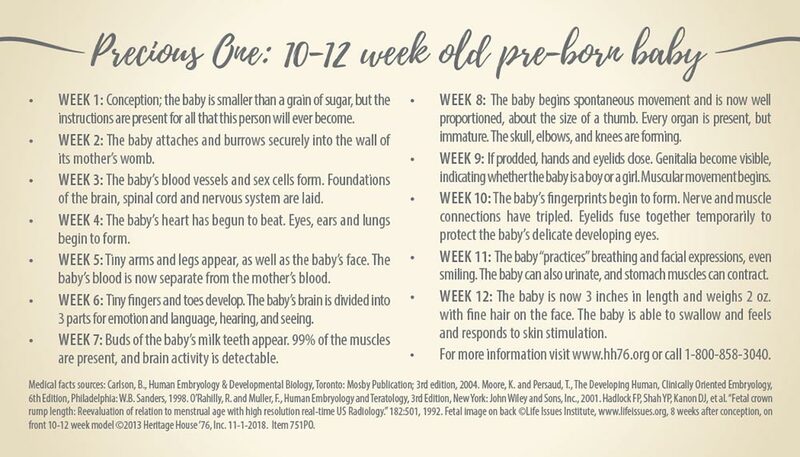 The majority of people have no idea how developed a baby is at 10-12 weeks, so this is eye opening for them. Wonderful product! I gave this to friends and families as a way of spreading the Gospel of Life. Many were amazed to see the image of the baby and the softness of the model. Really made them think how precious and fragile these babies are inside the womb. Well worth getting. A bunch of little girls from the church cut and tied tiny blankets for the beautiful soft models in preparation for our fair. They all took one home after inspecting and perusing through the 50 or so they had adorned. When I sidewalk counsel and when I teach children I show models of more than one ethnic background to specifically address the individuals uniqueness. These babies were really popular at our table at a local fair. They were by far the best tool for starting conversations about fetal development and abortion. These models are so realistic. We give them out at pro-life rallies and fairs but also have them on hand when praying or counseling in front of abortion clinics. Nothing beats being able to visualize and hold in your hand something so close to the real thing. We take these babies with us when we present to schools plus we have them in all ethnicities in our ultrasound room. Our expectant moms love to take them home to share with friends and family. These are always a great effective with clients. The softness brings reality and gentleness when considering life decisions. 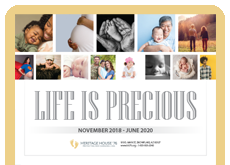 Only yesterday one of our client advocates told me that the moment she placed the tiny fetal model in her client's hand, the young woman looked up and told her, "I've changed my mind. I'm not going to have the abortion; I'm going to keep my baby." Over the years we've given these little models to our clients, the responses have been favorable. Something about not only seeing the tiny, perfectly formed baby, but actually holding it in their hands, makes all the difference. We organize and lead a group of men and women who counsel at a local abortion mill. We have been blessed to see the truth these tiny models bring to the eyes that see these. They are a must have when speaking to those who are pro-choice. Beautiful model, nice quality, perfect for handing out at fairs. A great way to reach children with the truth. These are life like and make a wonderful gift to a mom considering abortion. At our local pregnancy center, we place them in a hand knitted bootie with a card explaining fetal development. It is a life saving tool for us and the baby becomes real for the mom. These babies are great! We use them in our positive pregnancy test bags that we give each client. They like to have something to hold in their hands. I believe it shows them how precious and small their baby is. They love them! We always have a supply of these in brown and white at our pregnancy resource center. There is nothing quite as effective as giving one of these babies to a client with a positive test who is abortion minded. Thank you for a wonderful product and resource. Love these life-like brown babies. Helps the ethnic abortion bound mother see the image of her baby. They are so soft and realistic. Wonderful tool for sidewalk counselors. I bought many of these little models, both brown and white. I bought little plastic bags that could fit the little model plus info on the development of the baby. I put them out at the entrances to our parish in baskets lined with a baby blanket. They all went. I did keep a few for sidewalk counseling and for my husband to show his CCD class. People have taken these little models home to show their children and other people considering abortion. Priceless!! We have used these in the past. They are a great educational tool. We take them to may schools and hand them out to students so they can share with their friends. We love them! These babies are hard to let go of! They are incredibly soft & cuddly. Children through adults love them. They are amazed to see that this is what a 12 week old pre-born child looks like. We use them in H.S. talks & as give-aways at our booths. Well worth the investment - as are the full fetal model sets offered in the same Touch of Life series. We place a few of these at our pro-life info booth which instantly draws children to our table because they want to hold the babies. The children then lead their parents to our table so they can be provided info about upcoming events and educational materials. As the pro-life director for our diocese, and being on the board of our local pregnancy center, these life like models always get a reaction, from the smallest child to the 'coolest' adult. These are wonderful!! My husband and I gave them out at our church January 2010 as part of a spiritual adoption campaign. They were a huge hit! Then, 9 months later (which lands about Respect Life Sunday - cool huh!) we held a "baby Shower" for our babies and donated all the gifts to our crisis pregnancy center. Great tool! People still come up to me at church and say they still have their baby! 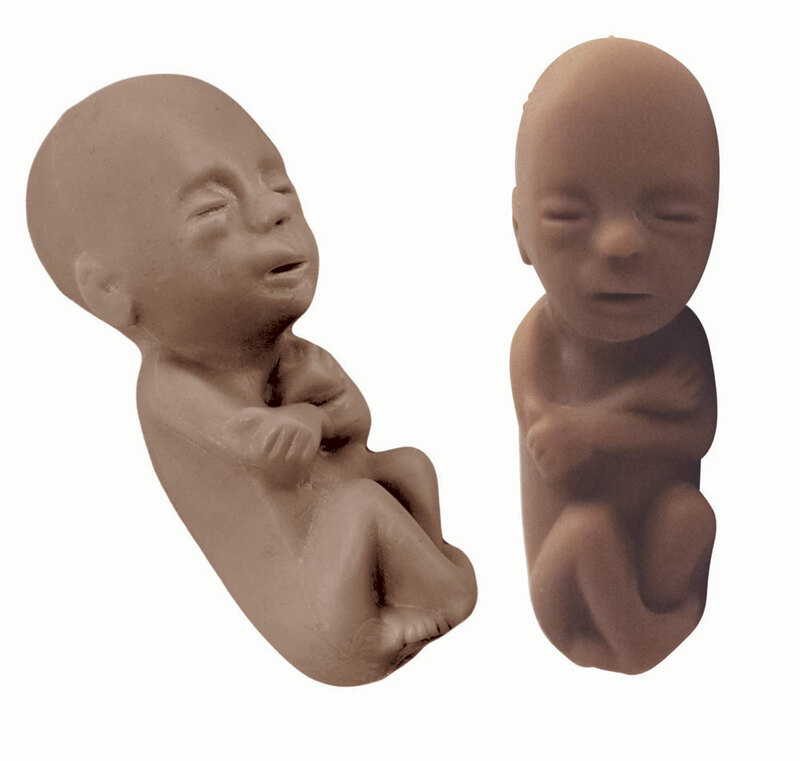 These fetal models have been one of the most powerful tools we have used with our clients. Teens seem especially awed by the detail and actual size. We take it to parenting fairs, speaking engagements, etc., and it always gets attention! Wonderful teaching tool and a must-have item in your counseling room. These are the most realistic and economical models we have found. We use them at a fair booth that has attendance of over 250,000 each year. This is by far the most popular item we offer. We quite often give them away to girls who promise to show them to their friends along with the accompanying card. 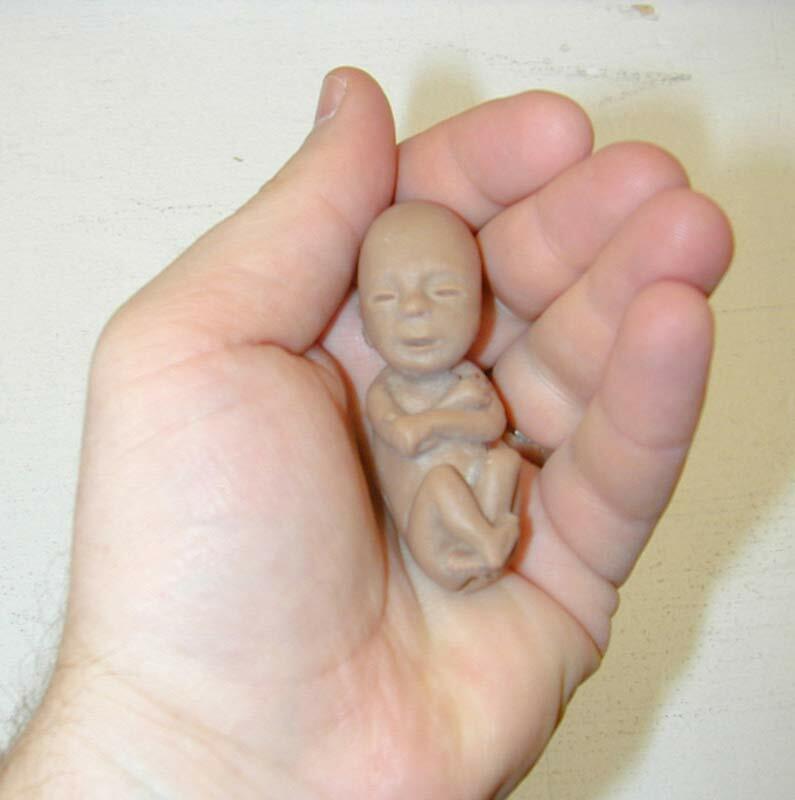 Most people are amazed at the things a baby can do how and how much organ development there is at 12 weeks gestation. So beautiful and lifelike! Very effective for use at local CPC where I volunteer. Nice that you have these realistic models in so many colors, and textures. This particular one is very popular to hand out ! These fetus models are so life-like! They are so realistic and even feel like a real baby. I highly recommend these to anyone to use as an educational tool or to give away at fair booths. Kids love them too! These are so special. They are irresistable. Once someone has picked one up, they end up cradling and protecting it without even thinking about it. The realization that something/someone so precious and innocent could be in danger is painful. 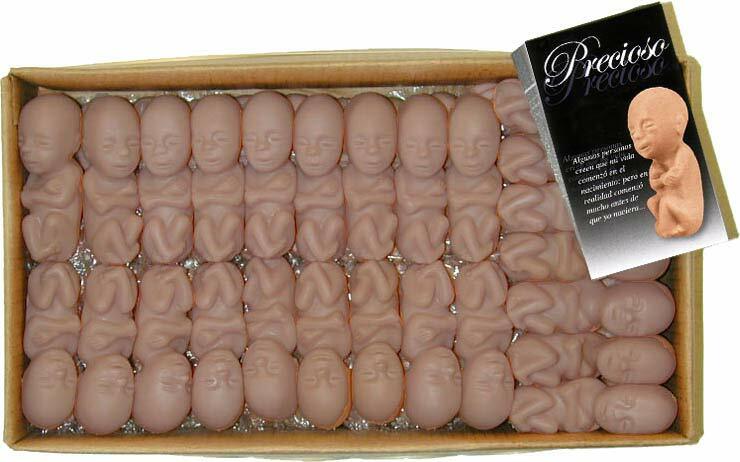 I am the President of our local pro-life chapter here in Stroudsburg, PA. We have ordered these fetal models many times and are very pleased with their quality. We give them out at our local fair and everyone is amazed at the detail of the baby at only 10 weeks. They are great teaching tools.